Student Association Sen. Brady Forrest, G-at-Large, said his struggle to afford food stems from GW’s teaching assistant salary. When Marc Hernandez feels hungry, he is often forced to fast for up to a day before satisfying his appetite because he doesn’t have enough money for a meal. Hernandez, a personal trainer who is pursuing a master’s degree in public policy, said as the first person in his family to get a college degree, pursuing his master’s is “more than just a piece of paper.” It’s a commitment that will leave him with $100,000 in loan debt and forces him to skip meals to make ends meet. As the University focuses on undergraduate dining plans – announcing a boost to students’ dining dollars just last week – graduate students say their struggle to afford full meals and healthy options often escapes officials’ attention. In interviews, 10 graduate students said their teaching assistant salaries – often clocking in at about $25,000 a year – don’t afford them enough money to budget for Foggy Bottom’s high cost of living. 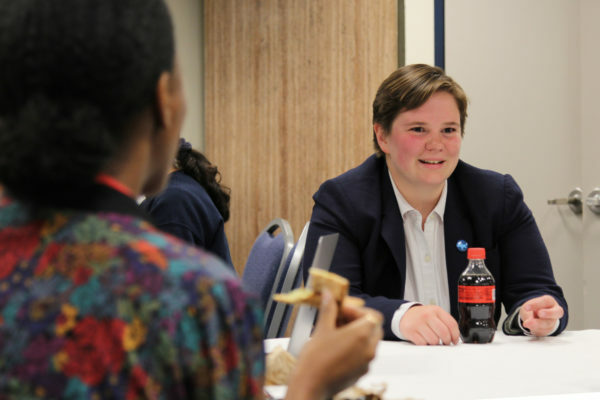 Student Association Sen. Brady Forrest, G-at-Large, said his struggle to afford food stems from what he called GW’s unreasonable teaching assistant salary, which affects how much he can pay for meals. He said that because he gets paid less than $25,000 each academic year, he can only budget $3 to $4 per meal. One meal on campus can cost between $7 to $12, he said. Forrest said officials are “not quite as conscious” of the graduate student experience, as GW is more invested in the undergraduate population through resources like freshman orientation. He said officials need to survey the needs of different graduate students on campus to develop a long-term plan to end food insecurity that should include paying graduate students a higher wage. “Ultimately, it’s this full circle, where GW is hopefully wondering, ‘how do we combat food insecurity?’ but they’re also the ones that determine how food secure or insecure I am,” Forrest said. During an SA meeting earlier this month, senators unanimously passed a resolution calling for more affordable dining options and an increase in dining dollars for undergraduates on campus meal plans. The resolution also included language urging administrators to pay graduate students a living wage. “Graduate students employed as graduate assistants by the University can face food insecurity as a direct result of the University not paying them a living wage,” the resolution states. 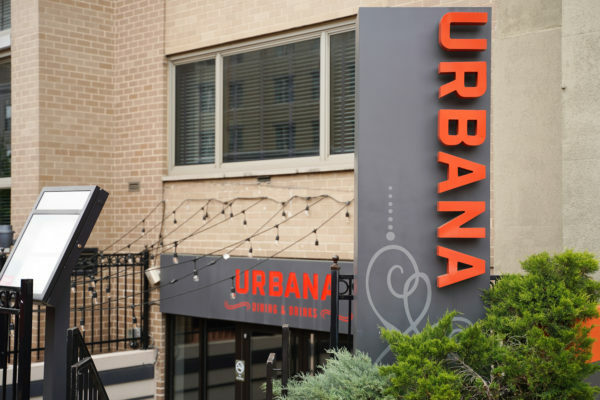 But because graduate students typically live off campus and don’t subscribe to GW meal plans, many said the University hasn’t addressed their dining needs. Cherie Bennett, a graduate student in the Trachtenberg School of Public Policy and Administration, said being on a campus as an underfunded graduate student is already difficult, but attending a school with many affluent students can have psychological effects on someone experiencing food insecurity. “You see so many people wearing really nice brand name clothing and things like that, and you’re like, ‘wow, I just walked around the grocery store three times trying to figure out which apples were the cheapest to eat this week,’” she said. 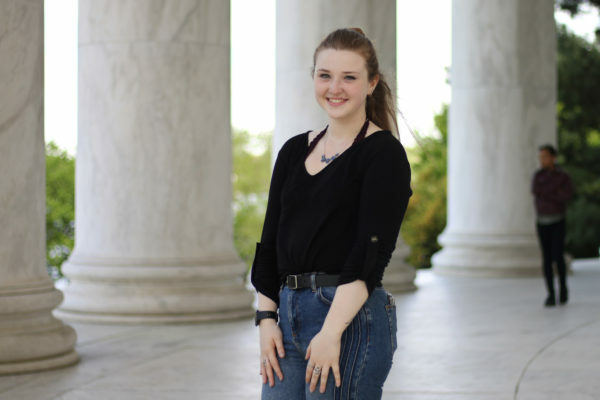 When she first came to GW, Bennett said she didn’t want to tell friends about her food insecurity or that she is a member of The Store – GW’s student-run food pantry that opened in 2016 – because she was embarrassed that she couldn’t afford meals. Saru Duckworth, the vice president of The Store, said about 31 percent of the pantry’s 646 users are graduate students. Provost Forrest Maltzman said graduate students are “not immune to financial hardships” and that officials are continuously looking for ways to meet students’ needs. At GW, Maltzman said graduate students who work for the University receive packages that often include financial assistance, tuition waivers and health insurance that vary based on factors like what degree a student is pursuing and their academic record before enrolling at GW. “That is one reason why the value of those packages has increased over the years, as has the overall budget for need- and merit-based financial aid for undergraduate and graduate students,” Maltzman said in an email. Officials increased the undergraduate and graduate student financial aid pools to a total of $297 million last year, but officials have historically given about 70 percent of the financial aid pool to undergraduates. Last year’s graduate student pool was about $10 million larger than 2015. Maltzman declined to say whether officials were surprised by the number of graduate students who use The Store, what other ways the University attempts to alleviate food insecurity for graduate students and whether graduate student food insecurity is related to the salary for teaching assistant positions. 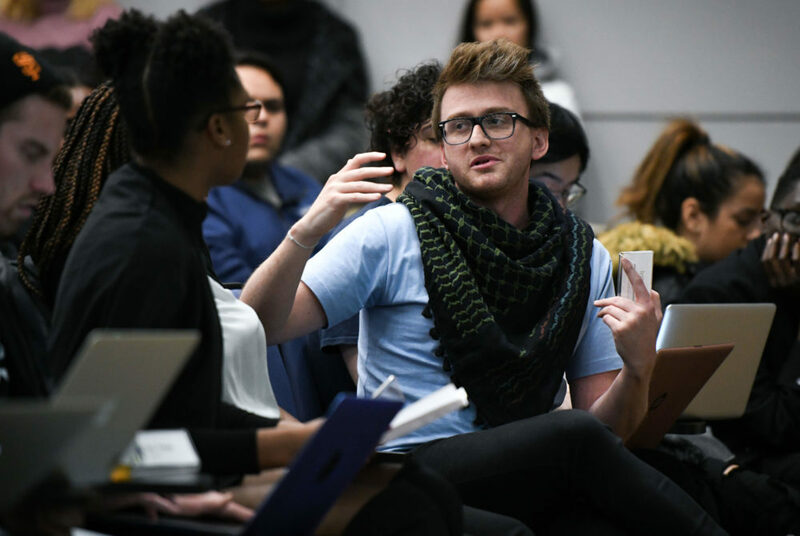 Last fall, a group of graduate students launched an effort to form a union, citing low wages and concerns about high health care costs from the University. Experts said that while money affects whether a student is food-insecure, factors like having families or full-time jobs differentiate how undergraduates and graduates experience food insecurity. Clare Cady, the co-founder of the College and University Food Bank Alliance, said food insecurity affects graduate students differently than undergraduate students because most graduate students work for the university to cover their tuition, and might not have as much time to get an extra job like some undergraduates. To combat graduate food insecurity, she said students and universities should push for Congressional legislation that makes it easier for these students to get food stamps. “If they could also get some food money, they’re not going to be making a ton of money, but they’re still going to be able to do better for themselves,” Cady said. Ginny Yerdon, the supervisor of Syracuse University’s food pantry, said food insecurity is a prevalent issue for graduate students because they tend to be “nontraditional” students, many of whom have families, are financially independent from their parents and are international students. “Living off campus, it’s certainly hard to balance a budget and make sure you have enough money for healthy foods – food that’s a good balance of what you’re eating and what’s keeping you healthy,” Yerdon said.